The first booth you will see when you enter from the entrance would be Action City having Hot Toys! 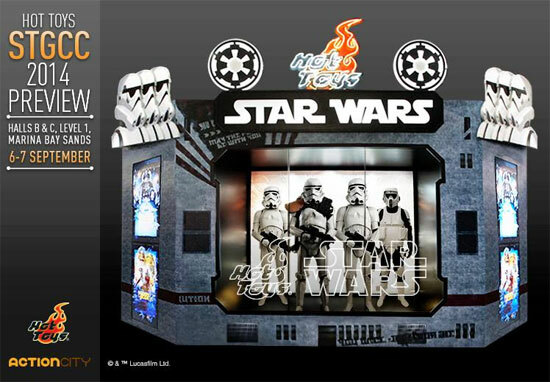 So there will be Starwars and other figures there as preview display and photo taking. This year for Hot toys most of the exclusive are already allocated. So if you are thinking you want to buy some of the toys there now or there and then, you have been slow as most would went there to collect their orders at STGCC. There will be however some figures there for pre-order like the Back to the Future. 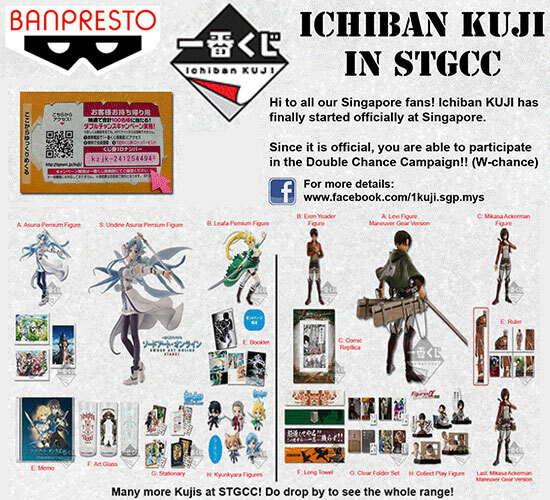 Now at Booth H3, there will be selling of Ichiban Kuji which is you buy a ticket and see which prizes you won. All the ticket will be at certain price and you never know you get more value and lower value toys or other goodies. 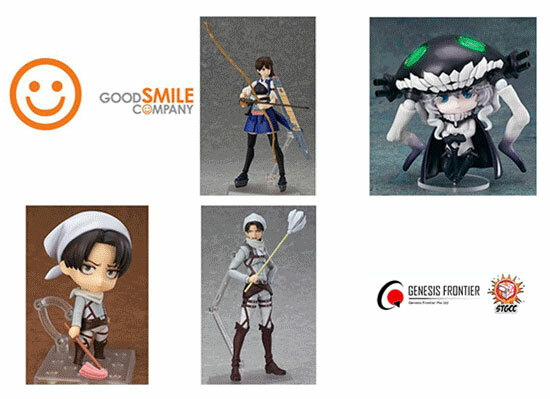 At the same booth of H3, you will see some new release from Good Smile Company only at Booth H3 that day! 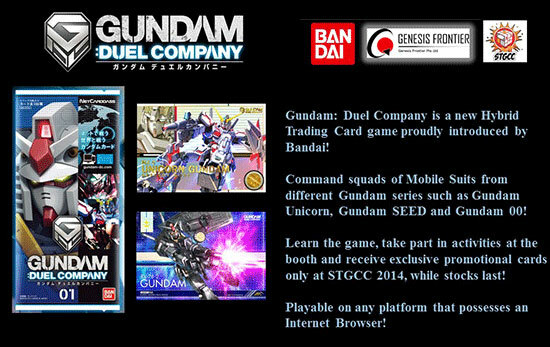 And lastly at the same H3 booth, there will be some exclusive for Gundam Duel Company. So if you are a collector or gamer of that game, do check them out at H3 booth! 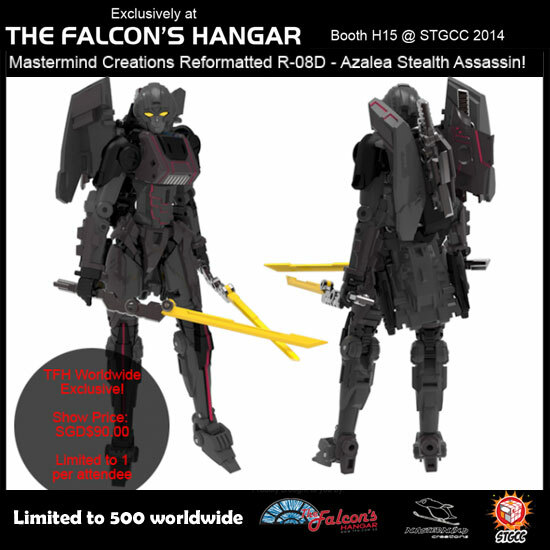 At booth H15 from The Falcon's Hangar will be having some exclusive for STGCC. 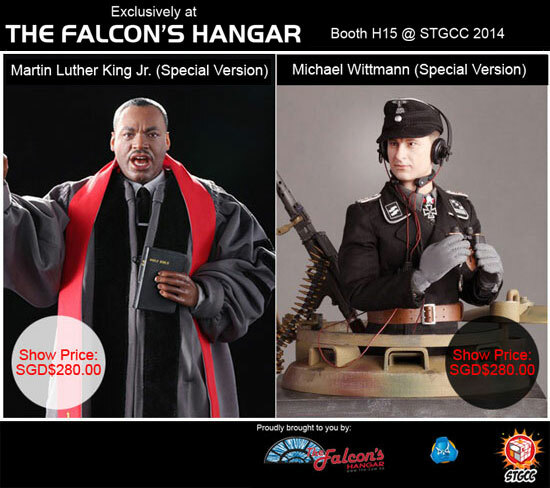 There will be Martin Luther King Jr and Micheal Wittmann figure on sales! 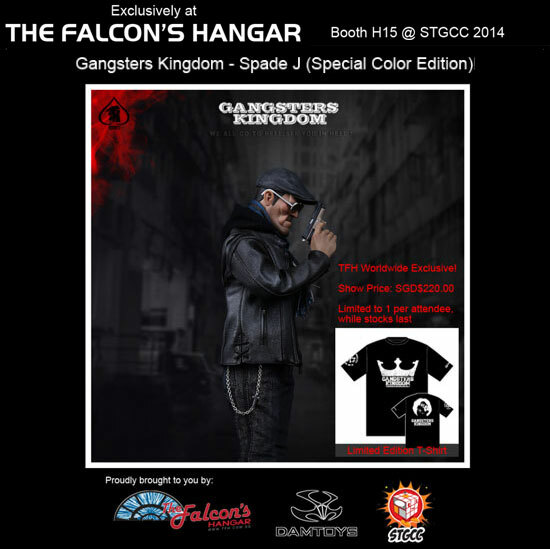 Next is the Spade J from Gangsters Kingdom Special color edition selling at SGD$220.00 that come with an exclusive T-shirt. 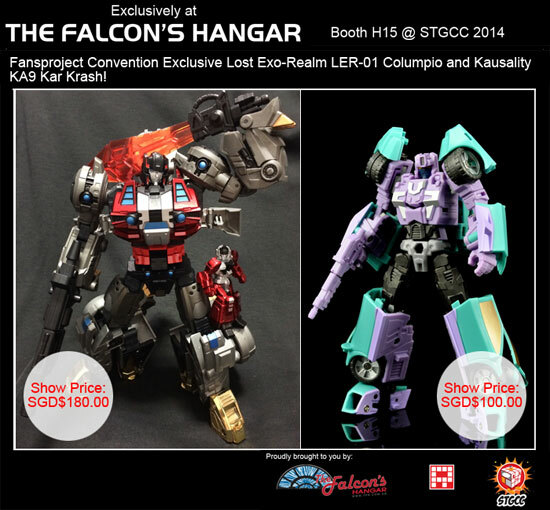 There will toys by FansProject Lost Exo-Realm Columpio and Kauslity KA9 Kar Karash. Can't wait for tomorrow to have a look see at STGCC from 6 to 7 September from 10am at Marina Bay Sands. You need and can buy the ticket at the event area.